A CV in English is beginning to be a standard. 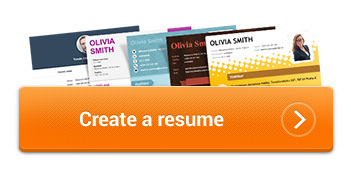 In our website, you may get a version of your CV to download in your computer. Find out how to write a CV in English quickly, easily and correctly, with no unnecessary mistakes. Why is it actually important nowadays to be able to create a structured CV in English? The reason is globalization. There are fewer and fewer purely national companies in the market because of the increase in supranational companies. In such companies, English is the standard in-house language of communication. Let us consider once more the purpose of a CV in English. A CV in English is, in fact, the crucial version of your CV for getting jobs in supranational companies in the domestic market and abroad. If you want to negotiate with a supranational company for the purposes of getting an above-average position, you will certainly have to start with a CV in English. A model CV in English is sometimes required even by a national company. This can happen if such company has, for instance, some foreign members or investors who are interested in personal supervision of the recruitment of new employees; this will apply especially to the positions of chief executive officers and managers. This service is called online CV generator and is not only able to create a custom-made CV example in English, but has also other great advantages, which will significantly increase the probability of your success in challenging selection procedures of supranational companies.